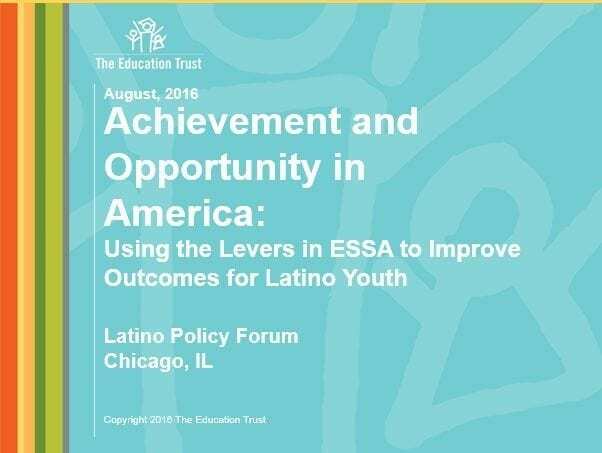 Throughout the year, Ed Trust staff are in the field — working alongside and learning from educators to identify best practices that help all students excel, collaborating with advocates to advance state and local reforms geared toward closing achievement and opportunity gaps, and advising lawmakers on Capitol Hill of the most promising strategies in education, pre-K through college. Kati Haycock spoke to leaders from across New Mexico about critical next steps for schools to pave a path upward for many more children. Kati Haycock spoke to school board leaders from across Michigan about critical next steps for schools to pave a path upward for many more children. Kati Haycock spoke to leaders from across Michigan about critical next steps for schools to pave a path upward for many more children. Kati Haycock spoke to school district leaders from across Michigan about critical next steps for schools to pave a path upward for many more children. Kati Haycock spoke to leaders from across Florida about critical next steps for schools to pave a path upward for many more children. 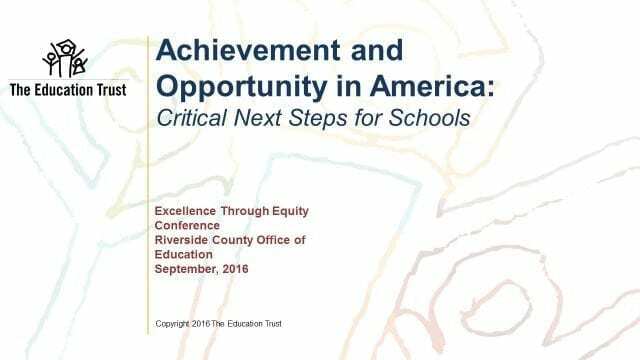 Kati Haycock spoke to the National School Boards Association about critical next steps for schools to pave a path upward for many more children. 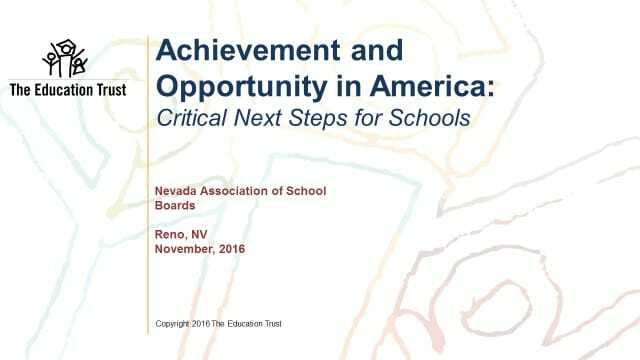 Kati Haycock spoke to the Nevada Association of School Boards about critical next steps for schools to pave the path upward for many more children. 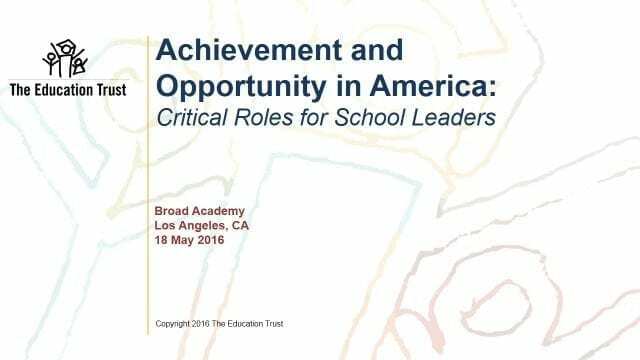 Achievement and Opportunity in America: What Can We Do? 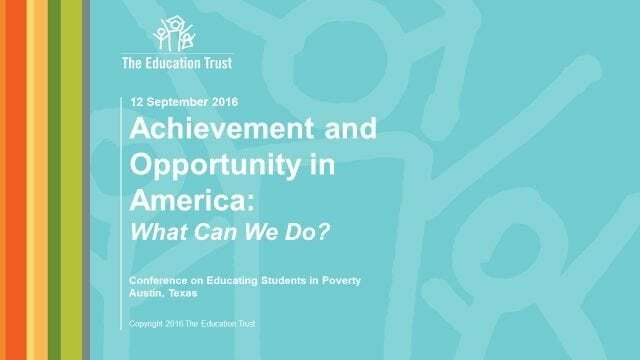 Kati Haycock spoke at the Texas Education Agency's conference on educating students in poverty on what we can do to boost achievement and opportunity. 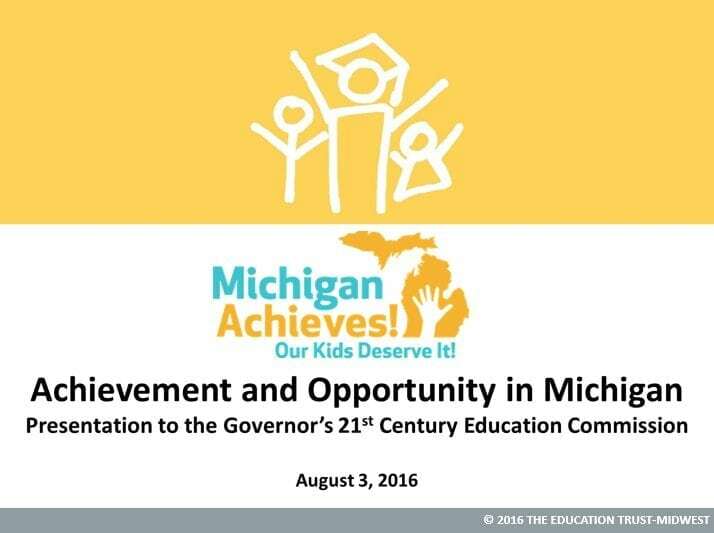 Kati Haycock spoke with the Governor's 21st Century Education Commission in Lansing, MI. 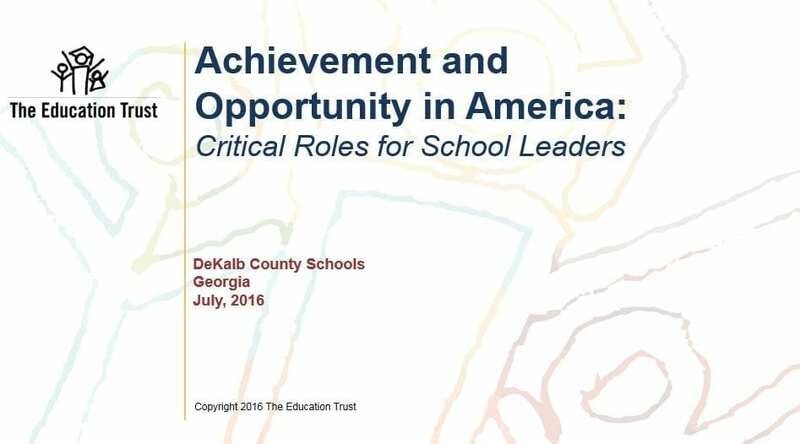 Kati Haycock spoke with educators from DeKalb County Schools about the critical roles for school leaders. 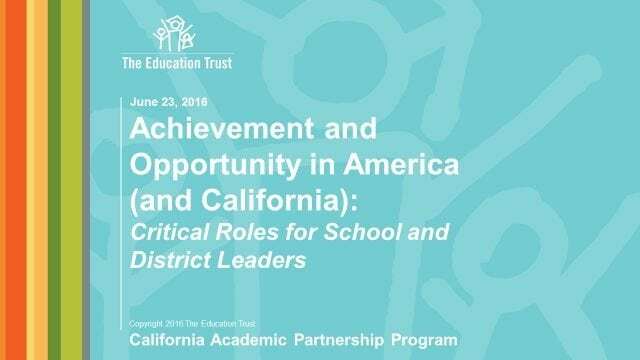 Kati HaycockCEOThe Education TrustBroad AcademyLos Angeles Interested in using The Education Trust's publications or presentations? Check out our policy.